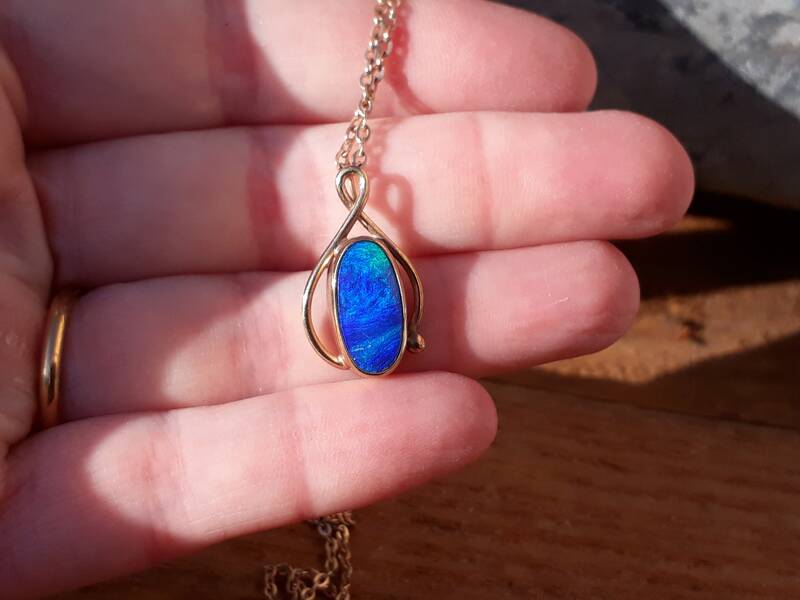 On An 18 Inch Trace Chain. 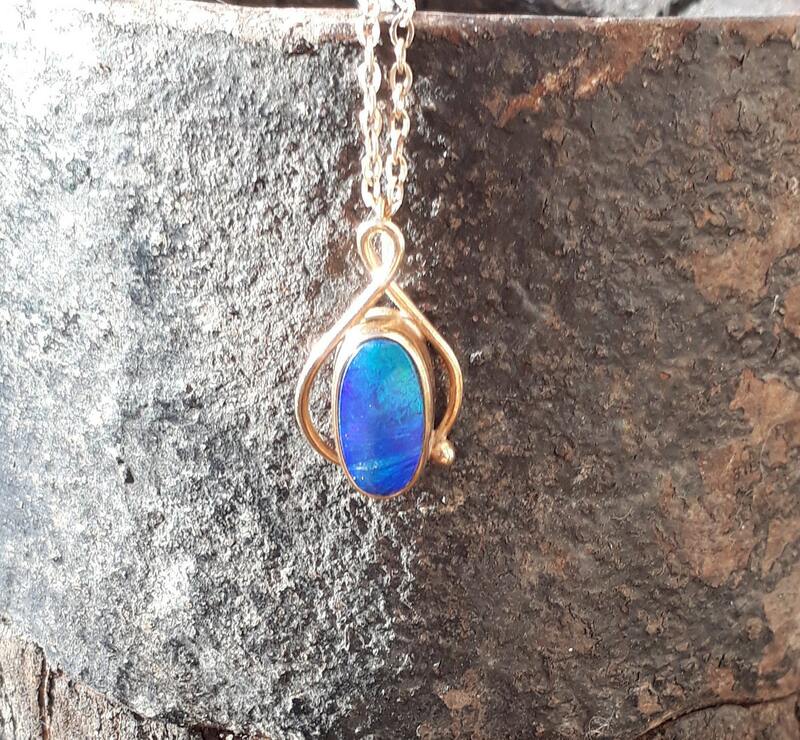 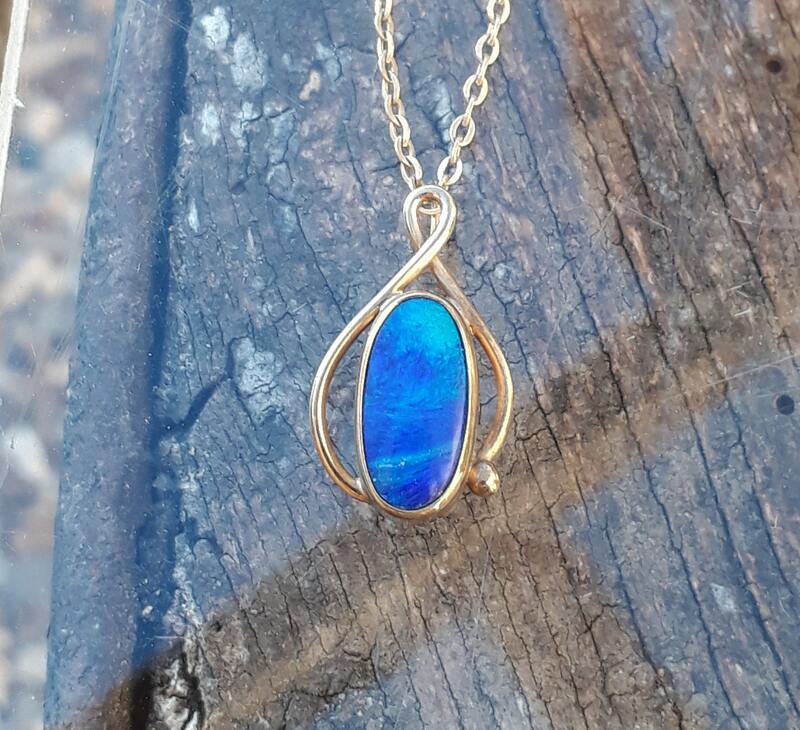 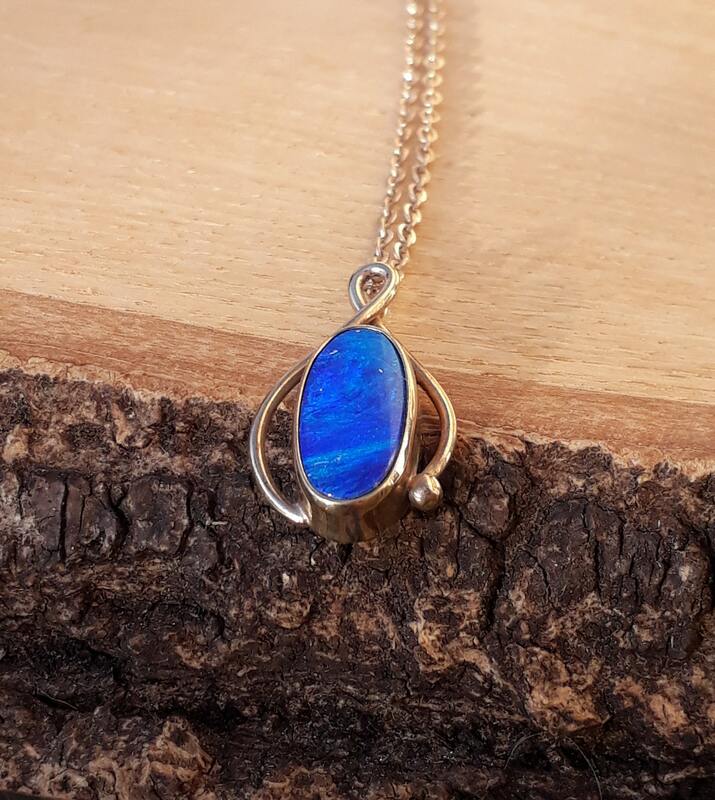 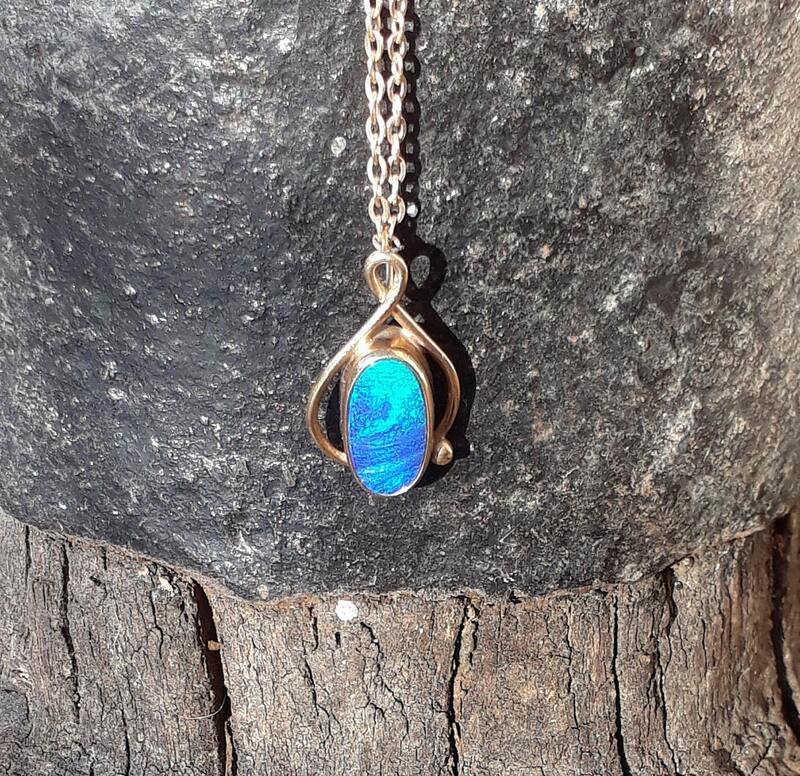 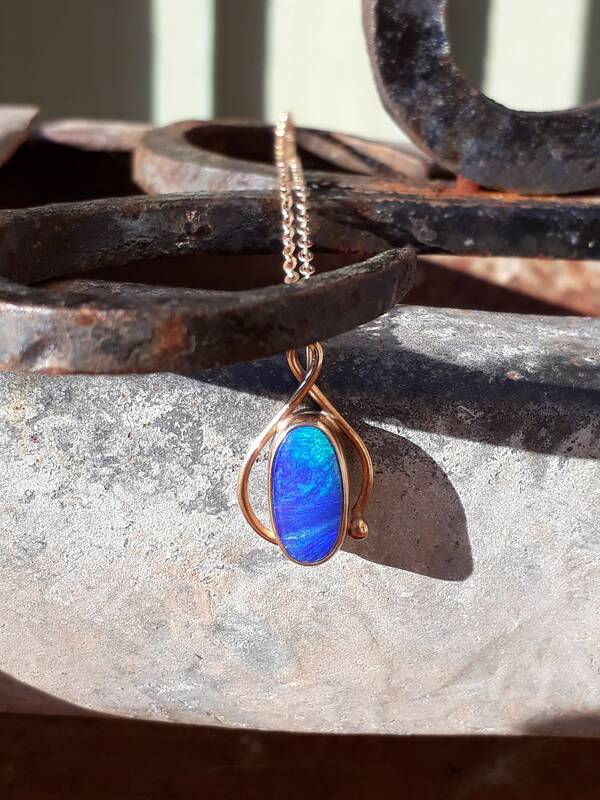 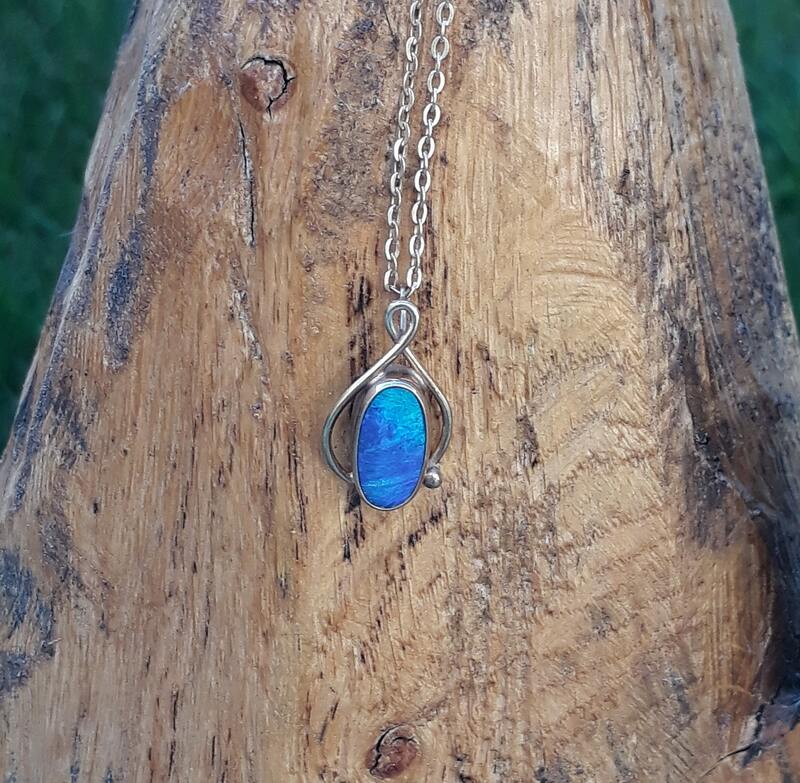 The Oval Pendant Has Been Handmade, With a Simplistic Flowing Design Which Accentuates The Sheer Beauty This Opal Has To Offer! 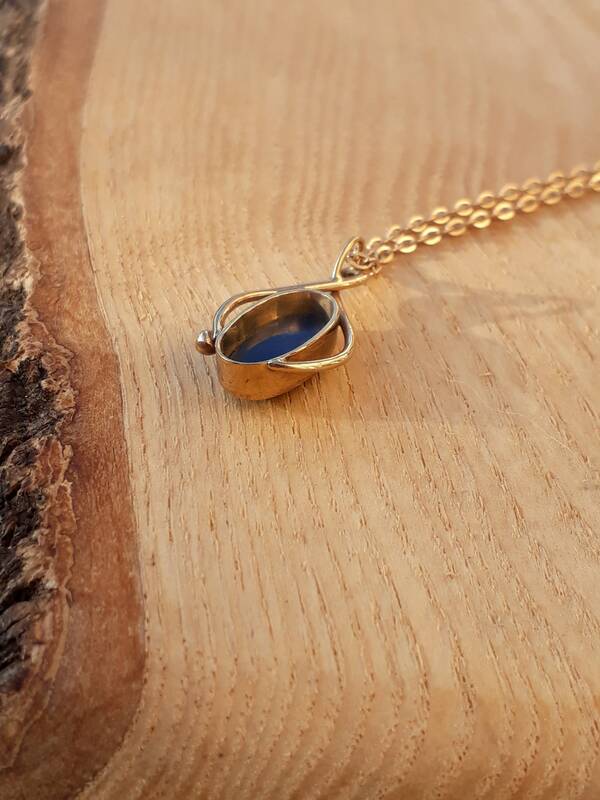 The Deep Blue Colours are Accentuated With Lovely Greens - All Pictures Are Taken In Natural Light. 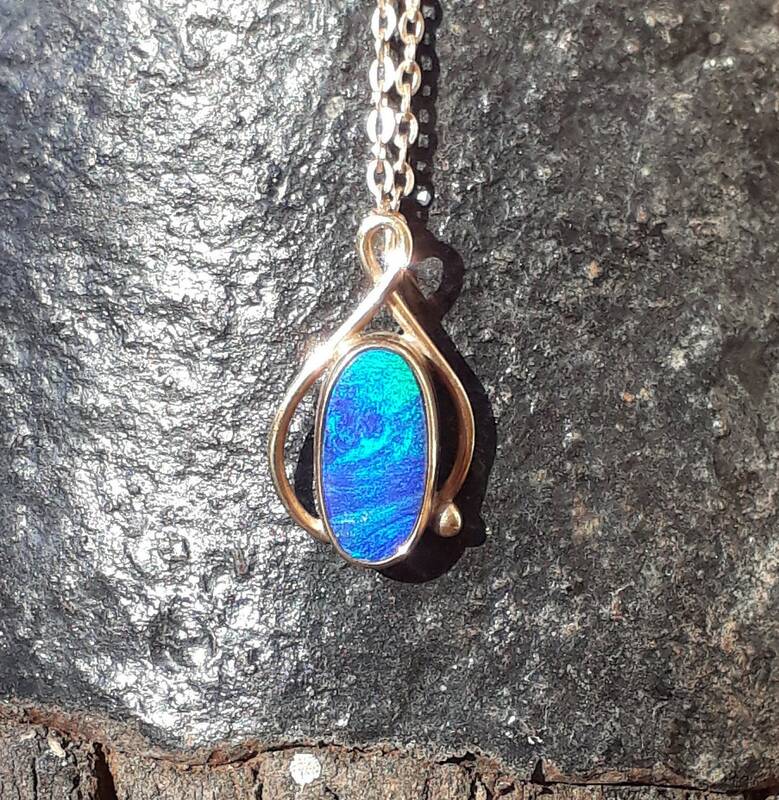 With The Opal Measuring 14 mm High and 7 mm Wide.